I love this week’s Focus On topic because TurboFire is one of my workout staples. They’re designed well, fun, the music is fab, and I burn a crazy amount of calories in a shorter amount of time. I love the fact that HIIT (High Intensity Interval Training) training is utilized and Chalene Johnson is pretty much amazing. What is it: A Beachbody DVD set featuring Chalene Johnson (creator of TurboJam and ChaLEAN Extreme) as the instructor. She designed the workouts and mixed the music so that it corresponds perfectly to the choreography. The workouts are a combination of kickboxing with some dance moves thrown in there (think “punch, punch, shake it”), HIIT drills, a core workout, stretch workouts and a strength workout using resistance bands. -To have an amazing time. The workouts are extremely fun and Chalene is so motivating – I want to hang out with her 🙂 The workouts are always over quickly, even though I’ve been doing them for over a year and know what to expect. -To SWEAT. I’ll wear my heart rate monitor during the workouts and these workouts keep my heart rate at a great fitness range for a consistent amount of time. -Anything – chances are that you’re working out at home 😉 A tank or sports bra with shorts is perfect, and make sure to wear shoes that will stabilize your feet and ankles for the kicking and lateral movements. -The music. The music (and instructor) truly make this workout set what it is. She didn’t pick trendy at-the-moment songs (so you aren’t already sick of hearing them), but rather high-energy remixes of songs you already know. I also love the option of watching the DVDs with the music “Fired Up” so all you can hear is the music, since I’ve memorized what Chalene is going to say. Insanity was another Beachbody program that I loved, but the music was so lame and dinky. -The group fitness atmosphere. I thrive taking group classes and this was filmed in a group setting – you’ll feel like you’re part of the class. -Suitable for all levels. For every.single.workout and part of choreography, there is a modification. Allie is the girl to watch, and has made it possible for me continue to use the DVDs throughout my pregnancy. She keeps the intensity up, but offers low impact modifications, so you can still get in a safe, but effective workout if you have knee concerns or anything else going on. Also, the HIIT workouts are intense, but anyone can do them (and modify if necessary)- you can go crazy if you want to, or take it back a little, it really is easy to customize and make it your own. -The instructor. Like I said before, I kind of have a girl crush on Chalene. She explains everything extremely well, keeps it upbeat and fun without being annoying, and you can tell that she knows her ish. I also love the little chats she throws in the workouts during the cool downs. -Focus on crosstraining. Quite a few workout DVDs will have a strength and/or fitness component and that’s it. 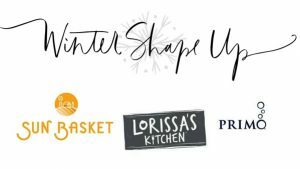 This set really does include everything you need for a balanced workout routine (strength, cardio with varying intensities, core work, and flexibility). -Picking up the choreography. I’ve danced for my entire life and taught fitness for a few years, but I’m a dancer, not a puncher 😉 The intro video explains the difference types of punches and proper form for the kicks, which helped a LOT, but it still took a sec for me to figure out. For the longer workouts, there’s a “New to Class” option, where she’ll break down the combos slowly before continuing with the workout. This is helpful because once you learn it slowly, chances are that you will remember it next time. Have you tried TurboFire or any of the other Beachbody DVDs before? Do you enjoy at-home DVDs or would you rather take a class? I’ve done Insanity (you can read my review *here*) and TurboFire, but would love to try ChaLEAN Extreme or Insanity Asylum in the future. I never got into Turbofire or P90x or Insanity…none of the workout DVDs. I have always wanted to give them a try but just never have. Probably b/c I really just love running/walking + yoga but mixing it up is great. hahaha!! love the video…you two are too cute! I love turbofire too, even though i can still only do the modified easy version. 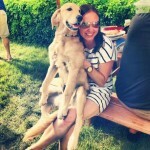 chalene is an animal and super fun! The link to your review for Insanity does not work. Could you please fix that. I am really interested in what you have to say! Thanks! That video was great! omg. i’m so jealous- that’s amazing!!! 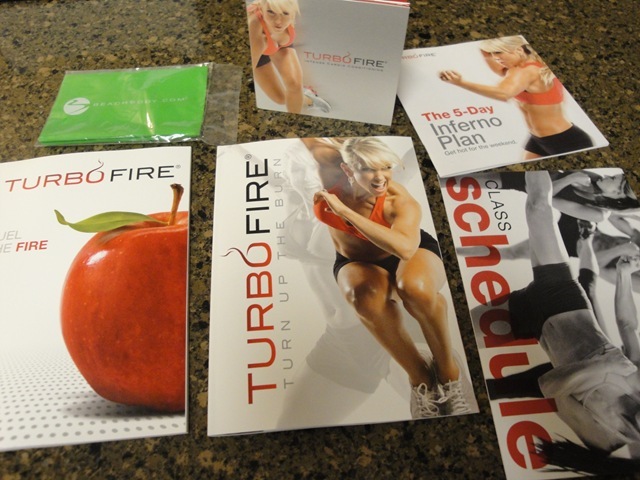 I recently purchased the TurboFire dvd set and I LOVE The workout. Any suggestions for modifiying for a broken foot? LOL I’m only half kidding. I think I have a metatarsal (sp?) stress fracture in my right foot and whatever the case it’s taking FOREVER to heal. I have a hard time figuring out what to do when they are jumping and leaping during the “turbo” intervals. I dream of taking a road trip (I live in No Cal) to take one of Chalene’s classes! I still love that video – you make it look easy! Thanks for the info – been meaning to check this workout out! I think Turbo Fire looks awesome! 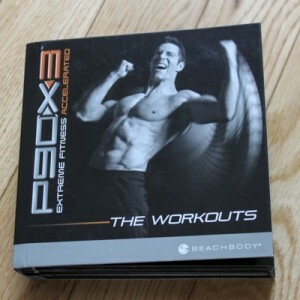 But I have to admit that my loyalty lies with Tony Horton and P90X. I just love T-Horts so much! My Baby Sister hates all work out dvds and instructors, and even she loves Tony! Aww, I want to give Turbofire a shot, but I can’t get past the price tag. Someday I’ll get to it. Bahahaha! I love your guys’ video, including the pilot clip and the credits at the end. Adorable. I ordered TurboFire fearing my wedding dress wasn’t going to fit. As soon as I got it, I injured my knee running and once able to try it again, I tore my lateral hamstring tendon while stretching for a run. Needless to say after seeing the box it came in sitting on my floor for almost a month made me send it back. Only tried the first “class” and it was fun! I just couldn’t make myself do it while injured..
I’m with you 100%, I love these DVD’s. I was disappointed with the Turbojam dvd’s because I was doing the turbokick classes at my gym and those were amazing and tough in comparison to the turbojam, but then came turbofire and I felt like they were closer to turbokick. If you ever get a chance if you haven’t already, try out a turbokick class, Ahhhmazing! ive taken turbo kick and loved it!! it’s pretty tough cardio but really fun. ive never taken the turbo fire, but it sounds great! I got started doing TurboKick during my undergrad. I missed it so much after I graduated that I bought TurboJam (which was a blast), but I must say my newest workout love is TURBOFIRE. I’m totally with you on having a girl crush on Chalene! She is the best! I would absolutely geek out if I ever got to take a class from her! Chalene teaches Turbokick almost every week at the 24hour around the corner from me. Her classes are crazy packed but so exciting and fun. The energy level is just through the roof. She also does a class called Hustle, which is dance-y,a lot of fun too! I do TurboKick at the gym I go to and I LOVE it! Behind Zumba, it is my favorite work-out. I didn’t know these DVDs were made by her too, so I’ll definitely have to check them out! ahhh, this looks AWESOME. i think i’ve found a new workout obsession! Thank you so much!! My boyfriend has P90X but I never could really get into it. 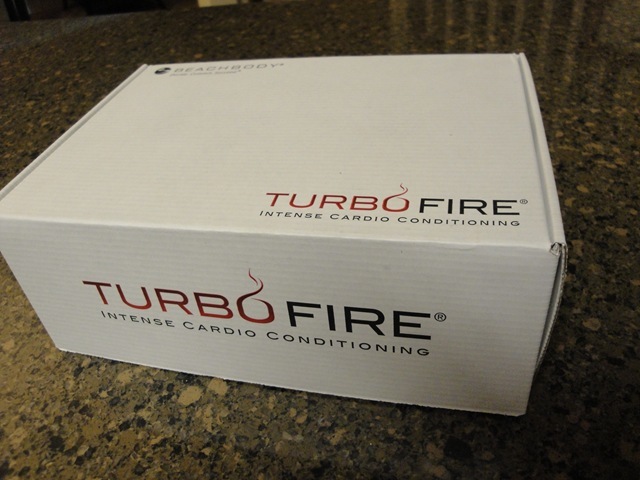 I have been wanting to try TurboFire because of all the great things I hear about it but seeing it has sealed the deal! Thank you again! I LOVE TURBOFIRE! 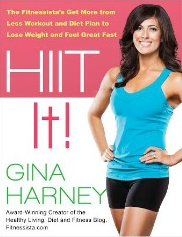 The first time I heard of it was from your blog, but then I saw an infomercial one Saturday and decided, “This is it! I’m getting in shape once and for all.” So I ordered it on up, and couldn’t wait for it to get here. But then I started to get scared, because I literally haven’t moved my ars in over 2 years, and had stopped running two years ago because I was having knee issues. I was afraid I wouldn’t be able to do it because of my knees, and also because I was so out of shape. But the program comes with a Prep Schedule, which is great, so I just decided to follow that, and no matter what, follow through with the program. It wasn’t hard to do! After taking just one class, I was hooked! And I really do look forward every morning to each workout. It’s challenging, but super fun. And after I’m done doing my TurboFire workout, I feel so strong and full of energy! I definately miss doing it when it’s my rest day. I also LOVE the 40 minute stretch class, and the HIIT workouts, too, and I think Chalene is so motivating and has such a fun personality, that it’s fun to be part of her class. I haven’t had to modify any of the workouts either, I just wear the Mueller Jumpers Knee Straps when I workout, and my knees have been just fine. I just finished the 8 week prep, and my clothes are falling off of me. My sister saw me and said, “What are you doing? You look great!” I told her I was addicted to TURBOFIRE, and the last time I was over at her house, her husband told me she had ordered it, cause she wanted to look as good as me! I own a ton of workout DVD’s but this is by far the best ever. I have found that if you don’t have a good instructor, and a program to follow, it’s too easy to not stick with it. And the music is just an added bonus. Good ol’ days rap! Brings back memories. 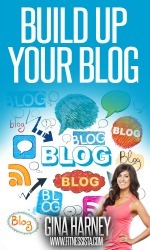 I love your blog Gina! You have such great recipes, and workouts, and I just love keeping up with your shenanigans! Congratulations on the nuggette! I’m enjoying all of your family posts too. Thanks for all of your work with this blog. I’m kind of addicted to it too. 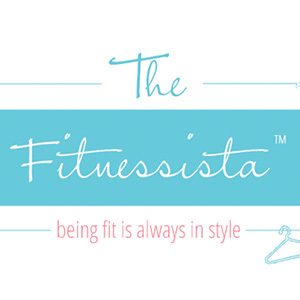 Fitnessista and TurboFire-my two guilty pleasures. You’ve got me REALLY interested in the Turbo Fire program! I’ve been looking for a way to change up my work-outs (I’m an elliptical girl EVVVVERRYDAY). Did you do the Turbo Fire in addition to other cardio or just use the DVD? I have this complex where if I don’t get as sweaty and out of breath as I do when I do my elliptical routine then I feel like I didn’t really work out. I am interested in losing just a couple of pounds. I weigh between 130 and 133 on any given day (weird yo-yo weight), and would like to get back down to 125-127lbs. Because I haven’t changed up my workouts I’m stuck in a rut. Ya think the Turbo Fire program is good to do this? I’ve done the P90X and loved it! Thanks! I love Chalene from Turbo Jam but TF is (for me) too intense, too dancey, and I refuse to buy anything more from BeachBody. Among other iffy business practices, they try to say you agree to never sell your DVDs when you purchase them. Sorry, but stuff I own, I can sell! It’s not like they’re talking about copies, they mean the originals! Do you own Turbo Fire? I’ve been looking at it allllll day online at beachbody.com and on amazon where it is a bit cheaper. If you’re interested in selling it, please let me know what you’d take for it!! turbo is more kickboxing/dance and insanity is more bootcamp/functional style of training. the styles are entirely different and so is the set up. i love them both, though! Morning! 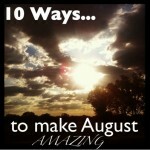 I have been looking at your blog for the few couple of months & I love it! I have a question about almond butter. I’m new to the whole health food blogs and I see everyone has almond butter. What’s so great about it (nutrition/diet wise)? I have been using it for the past week and it tastes great but I see that the nutrition facts are just a tadddd bit better than peanut butter. Hopefully you can help me figure this out!! Thanks!! I am currently doing ChaLean Extreme and I’m loving it so far. The TurboFire workout looks like a ton of fun. Is it something that you think might be too much for someone who has a long way to go, fitness & weight-wise? I used to love Turbo Jam from Chalene! I have been reading about this one and was wondering if it was good. I have a feeling I will need something like this for the winter!!! Just got this set today! I’m super excited to try it out! I was so happy this was your focus-on post!! The Turbofire video doesn’t work! =o( It says that it’s set to private? Same here! Please I want to see it! What a fun post! 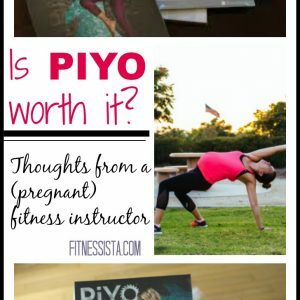 I know you love both Turbofire and P57, but for a mom trying to lose the baby weight, which program would you suggest? Thanks! Great info on Turbofire!! Now no one will be surprised when they get there packages because they will know exactly what they are getting. Hi again! Still trying to decide if I want to buy Turbofire 🙂 Sorry if you posted this already, but did you do TF according to the schedule Chalene gives, or did you just pick and choose Fire/HIIT/EZ depending on what cardio you were planning on doing for the day? Also, did you have a favorite DVD of the set? Thanks so much! Hope you’re feeling well! fire 45 is my fave, but i love them all! 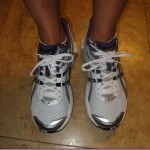 It is hard to recommend a certain type of cross-trainer since everyone has a different foot. What works for some people might not work for others. What I will tell you though is that you need a shoe that has good lateral support and a solid base for high impact support. Then I always get a high-impact insert to replace the insert in whatever shoe I have since the ones that come with the shoe are usually terrible. I’ve tried a few different brands of shoes and they are all SO different. Chalene is a huge fan of Nike shox, but those don’t work for everyone, and there’s even a variation in the fit among the different types of shox. Hope this helps!! ChaLEAN is so much fun. It’s much less cardio driven and focuses on strength training but VERY effective. I saw better results from it vs. P90X but I am going to say that was because I was extremely out of shape when I did p90X and I think that Chalene takes more time to focus on proper form vs. P90X. So I was doing the right moves, to failure each time. Is this anything like the Les Mills program Body Combat? my gym has all of those classes, and Combat is a ton of fun. Stumbled on your blog while I was doring some reading up on TurboFire….have to tell you: it’s super organized,informational while still being relatable and I just had to tell you thank you for your efforts! Spreading health and wellness <3 oh and I'm totally getting TF. I put in the first TurboFire dvd today. I have a problem however. The ‘New to Class’ option seems to be identical to the actual workout. I tried several times reselecting the new to class option from the menu, but each time the actual workout begins instead. I am finding it impossible to keep up with the workout without an introductory session. Has anyone else had this problem? is this a problem with my DVDs or am I doing something wrong?